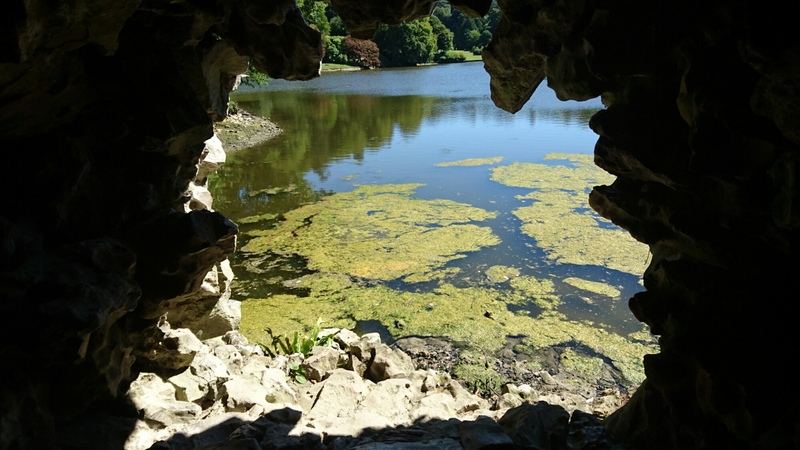 Peering out from the grotto at Stourhead, it’s hard not to be awed by the splendid beauty and tranquillity of the place. 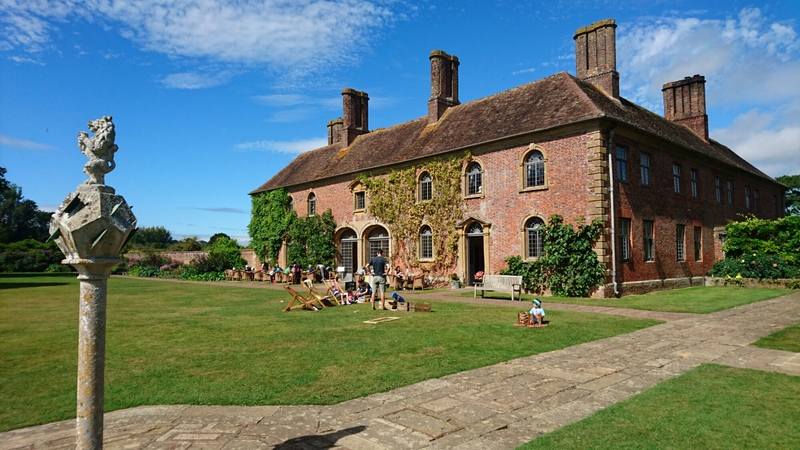 The National Trust’s 2600+ acres here promise much and totally deliver. 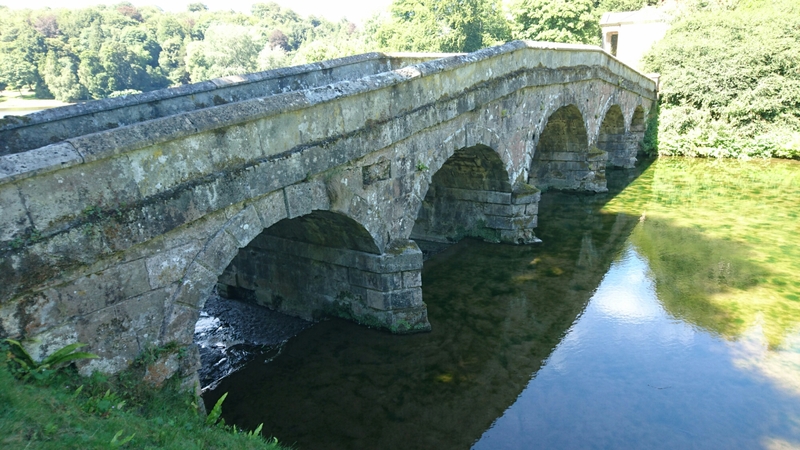 If you want to get away from it all, I encourage you to try this beautiful corner of rural Wiltshire. 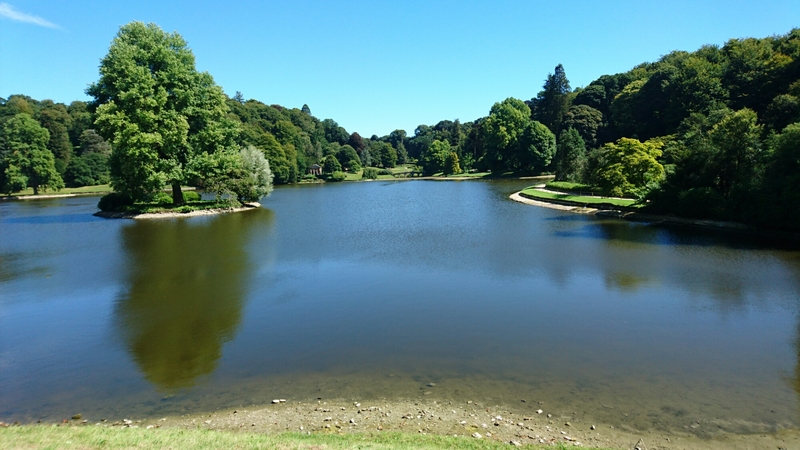 Exploring the neoclassical Palladian mansion at the top of the estate, followed by the sublime pleasure of a lakeside amble, I am confident you will find this an altogether agreeable experience. It’s wonderful to see young and old enjoying this priceless historical and green space. It really is the simple things in life isn’t it? Baking in the late summer sun making its slow trek across an endless azure blue sky, you wouldn’t want to be anywhere else. Not on a day like this anyway. 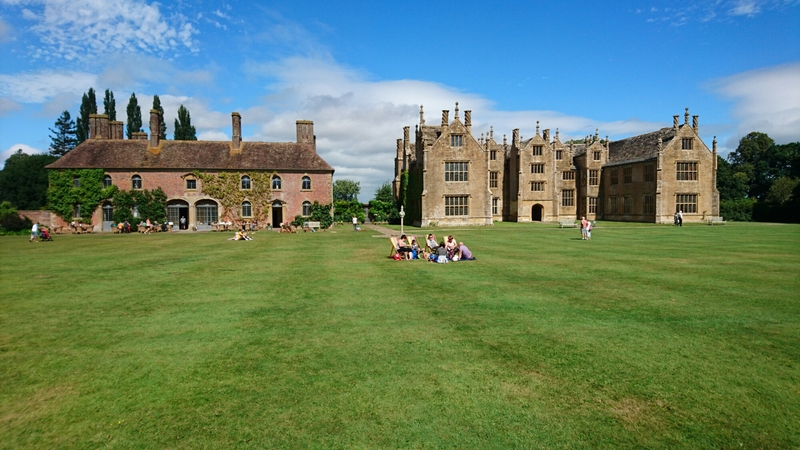 On a hot sunny day, there is nothing better than messing around in an English country garden. 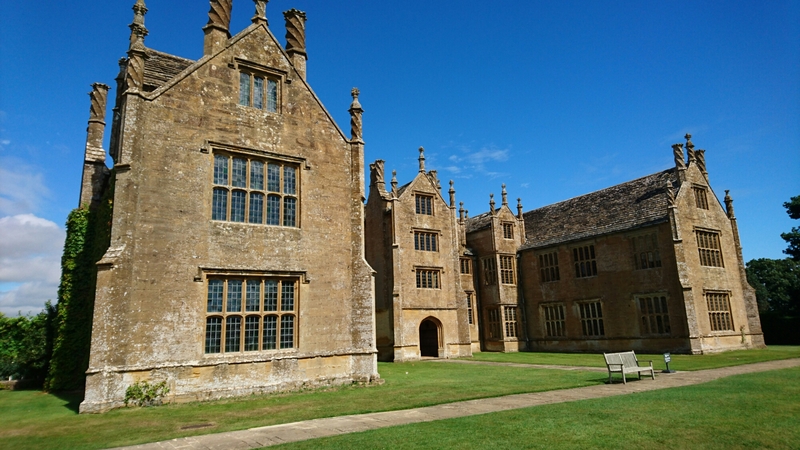 And if you like gardens, then the National Trust property of Barrington Court is a rather super one – and that’s putting it mildly. I’m no flower expert, but I was nonetheless dazzled by the sheer variety of colour generously splashed around this beautiful walled garden. Expert or not, I was loving the unparalleled diversity of all this botanical brilliance around me. Heading towards the house itself, you have to run the gauntlet of the Strode Tearooms which are housed in a fairly impressive building themselves. Of course you don’t have to run the gauntlet at all; you could just give in which is what we did, and enjoy the excellent culinary fayre therof. Admittedly, relaxing outside in the burning late-morning sun whilst sipping proper, full flavoured tea, with the gentle hub-bub of fellow visitors chatting in the background, was most relaxing. It’s what an English summer is all about isn’t it? 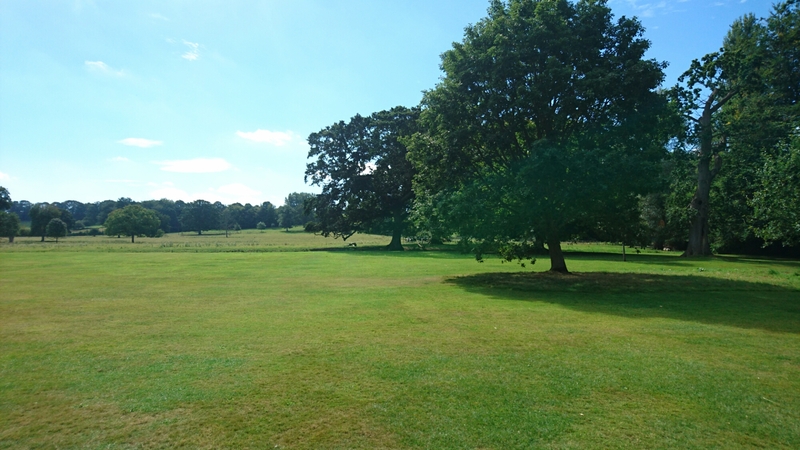 My friend mused that the only thing missing was a cricket match on the lawn, with the crack of the ball on willow and “…the gentle ripple of applause.” I think he might have got a point. Perhaps the National Trust should look into this? Espresso Seafood Bar and Grill. There’s nothing better than whiling away a few hours by the seaside. And there’s also nothing better than dining in the company of long standing friends too. On a hot, sunny afternoon Andrew and I came to the Espresso Seafood Bar and Grill in Ilfracombe, on the beautiful North Devon coast. Thankfully, a gentle sea breeze was in attendance to cool things down. A discussion about oysters ensued between us, and soon enough we were drawn inexorably to the Deluxe Shellfish Platter – which is what we ordered. Tempted by a spread of Lobsters, Oysters, Crab, Crevettes, Clams, Prawns, Scallops, Mussels and Cockles; you can see it wasn’t a difficult choice to make. Now this is where I have to come clean. Shamefully, for someone who has lived on the coast most of their life, I have to grudgingly admit that I am indeed an oyster virgin. Thought I’d just get that one out of the way. Well I was until yesterday anyway. I think what I want to say at this point is: “Oysters, where have you been all my life?” Well my friend Andy, who is also a top, local chef showed me the way: Grab the oyster shell, squeeze a few drops of fresh lemon on the aforementioned mollusc, add some shallot vinegar and a tiny smidgen of fiery tobacco and it’s down the hatch. 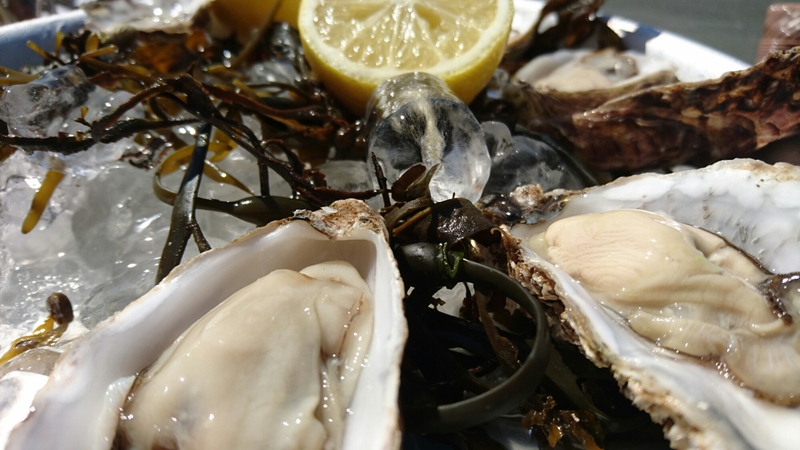 That was definitely a culinary watershed for me because later on that day, I was pining for oysters again. “Where for at thou o clam of my desire?” Hmmm, I guess they’ll have to wait for the next trip out, which now can’t come soon enough. Further instruction was received from my friend and fellow foodie on dismembering the crab and lobster too (I clearly need to get out more), which proved to be yet another culinary voyage of discovery. And a very tasty one at that too. I wish you could have been there because the smell of the sea was powerfully wafting off the two tier tray in front of us. This isn’t a particularly cheap offering, but worth every penny. If you love seafood, you’ll be in heaven. 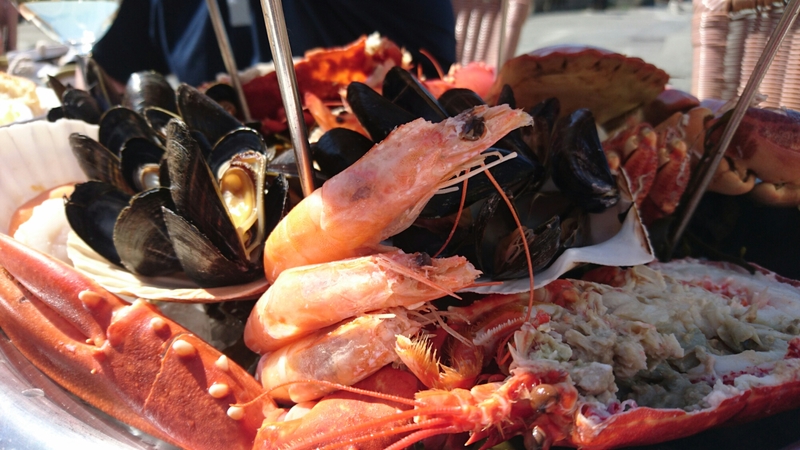 Washed down with a classic bottle of chilled white, it was just the ticket for a sunny day at the seaside. 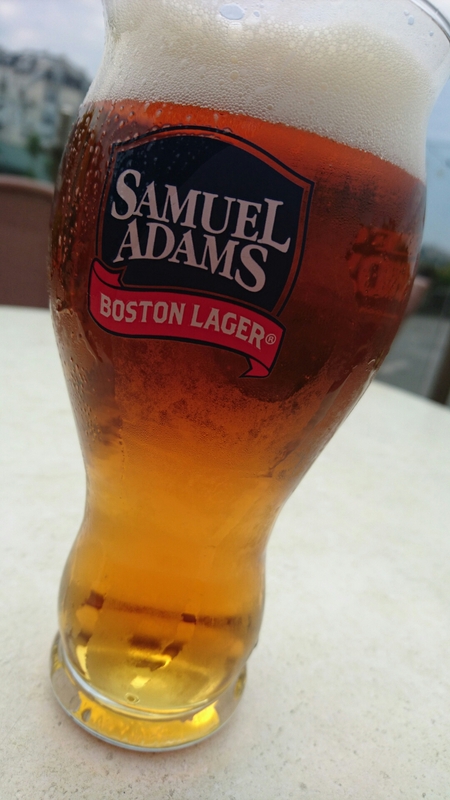 I also enjoyed a Samuel Adams Boston Lager too, which is a rare find in these parts. It was altogether agreeable, and nice to see it make an appearance after discovering it for the first time on a trip to New York a few years ago. No doubt I shall be returning for a repeat performance and I encourage you to try it yourself. 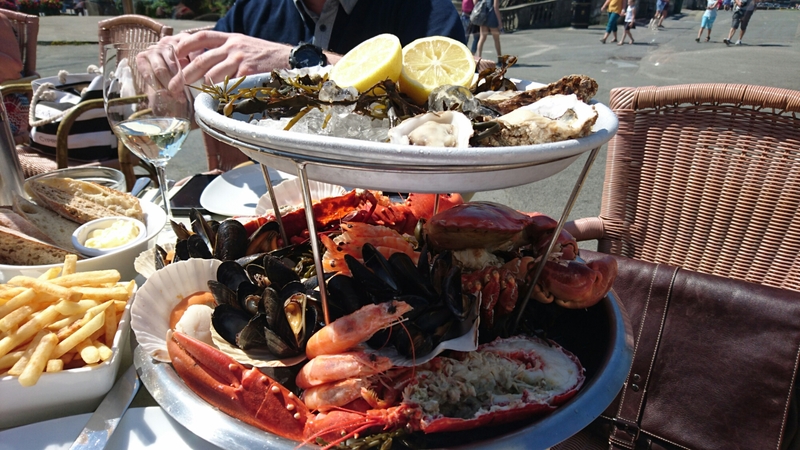 This surely is what life on the North Devon coast is all about: locally sourced, fresh produce pulled straight from the ocean and lovingly served with impeccable presentation and flair.